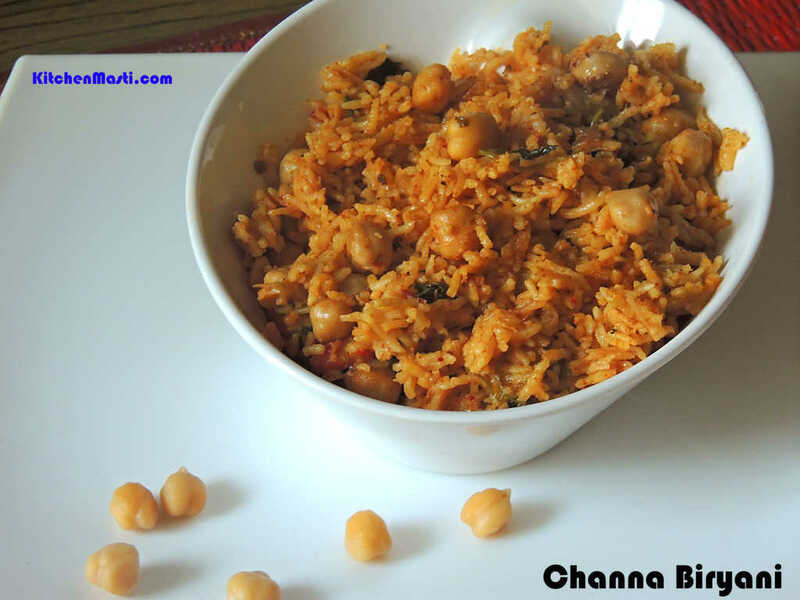 Channa Biryani is one of the healthiest and sumptuous Biryanis that can be eaten along with simple raita or any other north Indian curry. It can be served as one pot - meal during lazy sundays. Channa ( chickpeas }is rich in proteins and a low carbohydrate cereal, hence it can be consumed by health conscious and diabetic people. Here, we use rice of basmati variety and mix it with Channa and Biryani masala. How To Prepare Channa Biryani. The time taken to prepare this dish is around 1 hour and the quantity mentioned here is enough for 4 servings. Basmathi Rice - 1 cup. Bay leaf - 2 . Curds - 1 / 2 cup. Ginger - Garlic paste - 1 tbsp. Red chilli powder - 1 tbsp. Turmeric powder - 1 tsp. Dhania ( coriander ) powder - 2 tsp. Garam masala powder - 1 tsp. Lemon juice - 1 / 2 tsp. Cumin Seeds - 1 / 2 tsp. Method To Make Channa Biryani. Soak channa for around 10 hours in the water and later on, boil it in a pressure cooker and keep it aside. Wash and soak Basmathi Rice in the water for 1 hour. Pressure cook the rice along with water in 1:1 ratio until 2 whistles. Add bay leaf., cinnamon, jeera ( cumin seeds ) and cloves to it. Add chopped onions and slit green chills ( lengthwise ) to it after a couple of seconds. Now, add the chopped tomatoes, ginger garlic paste, and salt into it. Fry the tomatoes in a medium heat. Add the powders like turmeric, chilli powder, garam masala and coriander powder to it and fry for around 2 minutes. Now add beaten curds and chopped pudina leaves to it and mix it well. Now switch off the flame. 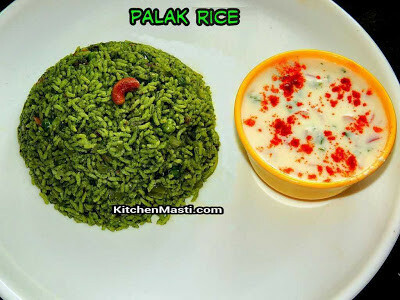 Finally, mix the rice with the above masala and garnish with coriander leaves while serving. Your sumptuous and spicy Channa Biryani is ready to be served!!!! 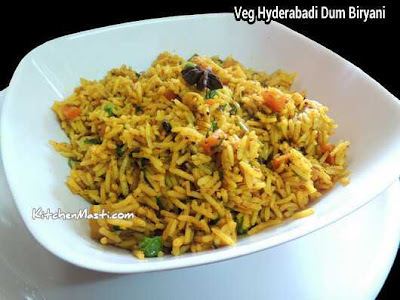 Instead of mixing the boiled basmati rice all together at once, you can mix rice and the prepared Biryani masala alternatively in a layered form and microwave it for 5 minutes adding a tbsp of butter on the top. You can add chopped coriander and mint leaves once again at the final stage also. Adding butter will give an unique and rich taste to this biryani. Get Recipes Directly To Your Email Id!!! Halsinakai huli / Raw Jackfruit Sambar Recipe.